Hi Friends, I am back again with another set of 3 cards I made with my new SU Lotus Blossom set. I jumped start this idea with this great Sketch over at CAS(E) this Sketch. I decided to rotate the sketch and make a horizontal card this time. 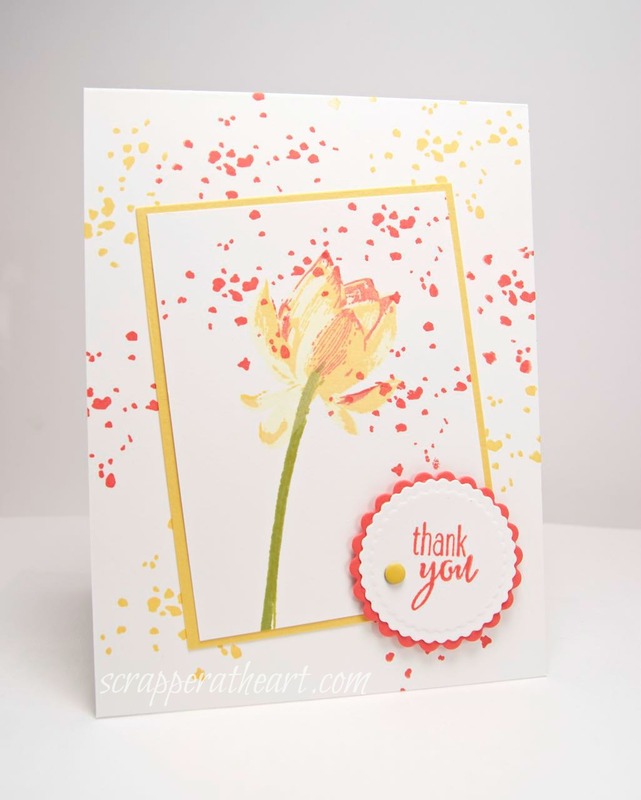 In addition to using the SU Papillion Potpourri butterfly stamp, I used a stamp from my the old Branching Out SU stamp set that is suppose to be used for leaves and or snow and thought it would work well for some splatter, and it did just that! Now here are the other 2 cards I made while I was at it. They are both self explanatory. 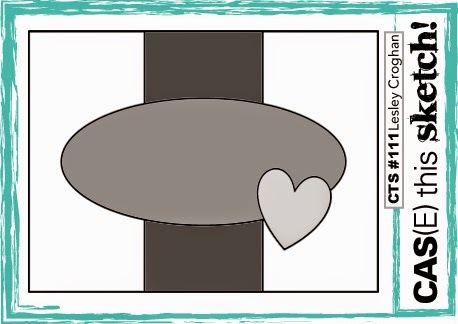 Categories: Cards | Tags: Card making, Cards, rubber stamps, sketch challenge, stamping, Stamping Up, Thank you card | Permalink. Nancy these are all gorgeous. Love that stamp. Wish I could afford it as we have to spend $100 to be able to get it here. Beautiful colours and lovely layouts. It looks so Great for splatter! 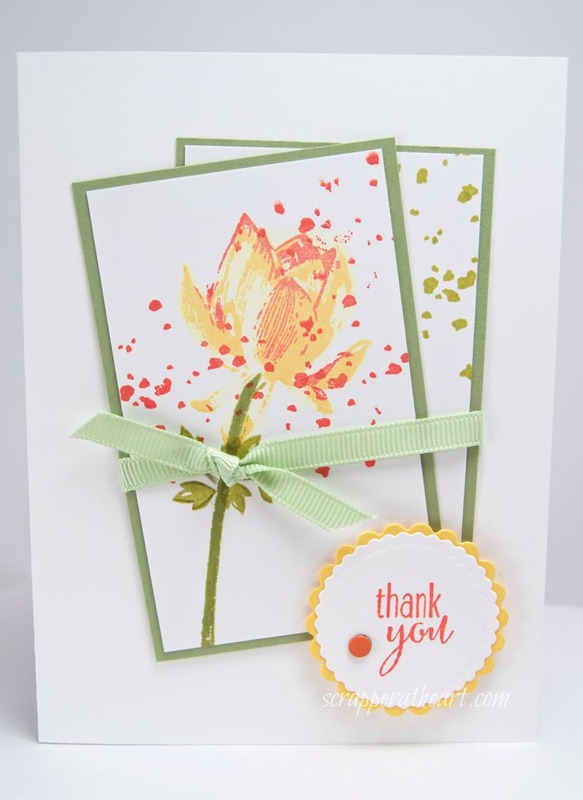 LOVE your Beautiful color combos and those Pretty flowers! Pretty set of cards. I need to get my Lotus Blossom set out and ink it up. Thanks for the inspiration. I love them all. They are so gorgeous and remind me of spring. Love the colors on all too! 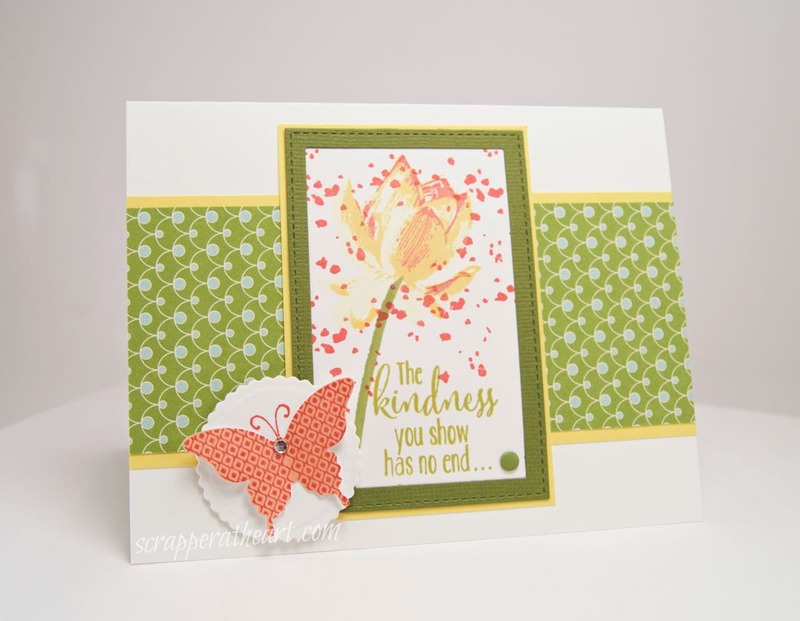 Beautiful cards, Nancy! Love them! You have really been inspired by that lotus blossom, Nancy. The cards are beautiful, every one.